Telephone systems have certainly come a long way, in a short space of time! 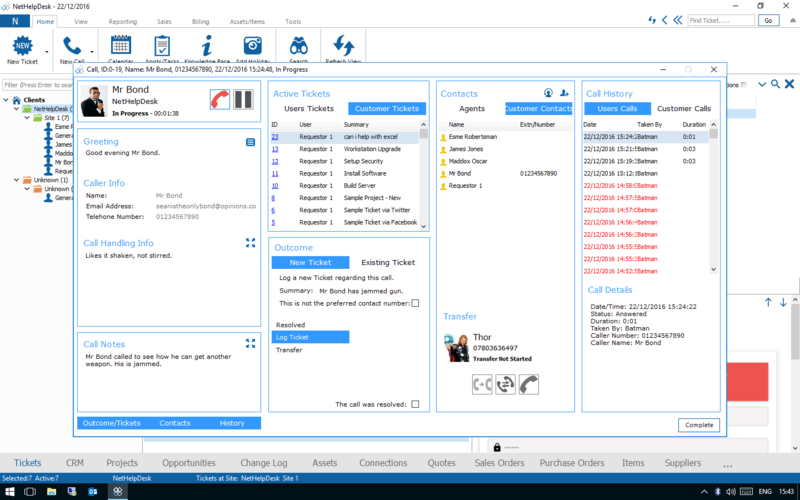 NEC Business ConneCT Telephone System integration is usually something most of our competitors would charge you inordinate prices to use, but as with all other functionality in NetHelpDesk, we include it as standard. Unobtrusive but easily visible pop-up notification of the telephone system notifying of an incoming call. See whether calls are internal or external, and show images from the avatars that have been uploaded by your agents and your end-users. 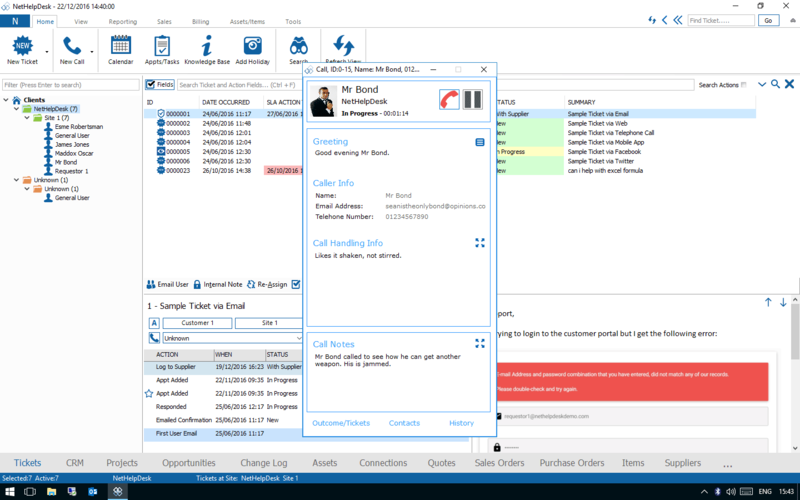 Set default greetings that your call handlers will use when first speaking with the caller, and any call handling information needed. Visible caller information that is available from their end-user account, such as e-mail, packages, scope of service and preferred agents. Add notes on the user as the call is happening, to share information with your colleagues, such as what happened on the last call. Overview the user's active tickets as they call through, so you can easily find the ticket that they may be calling about. View other calls logged at their business, to see if the issue has arisen for other people at their location, and stop duplicates. 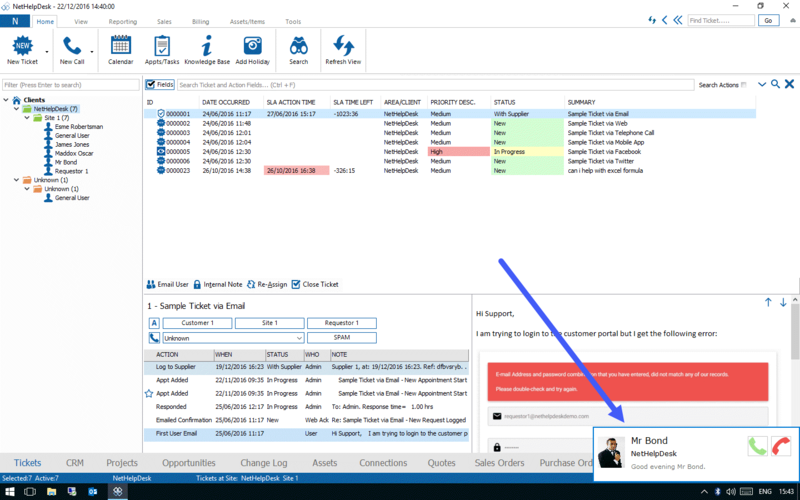 Log the outcome of the call, by creating a new ticket, or updating an existing ticket quickly and easily from the same interface. Transfer calls to your colleagues, if the caller wishes to speak with them, or to escalate with the relevant departments quickly. Assisted transfer is available also, so you can bridge the gap between the caller and the person you're transferring them to.